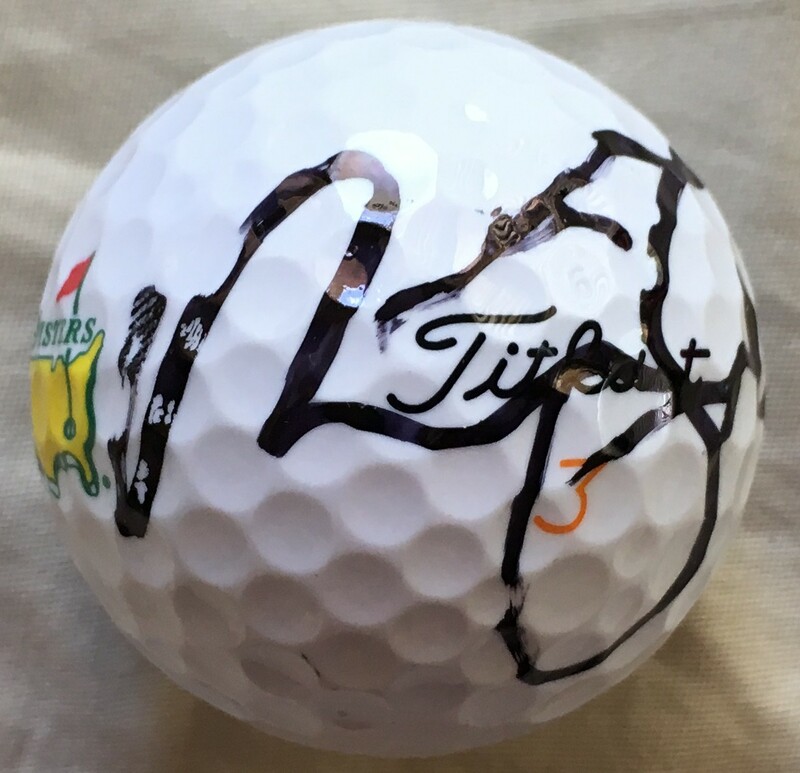 Masters logo Titleist golf ball autographed in black Sharpie (shorthand) by three-time green jacket winner Nick Faldo. Obtained in person, with certificate of authenticity from AutographsForSale.com. ONLY ONE AVAILABLE FOR SALE.